With over 40 years of experience, Beth-El Zikhron Yaaqov Industries Ltd. is a leading worldwide manufacturer and designer of complete air treatment systems for vehicles. 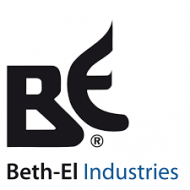 Beth-El’s product line provides complete ventilation, dust filtration, CBRN & TIC (Toxic Industrial Chemical) filtration, shooting fumes (CO) filtration, and HVAC (Heating, Ventilation, and Air Conditioning) compliant to NATO and MIL-STD standards, as well as engine air filtration systems and fuel pumps. The systems’ lightweight design and compact shape require only minimal power consumption with maximum mobility and flexibility in the field. Beth-El provides full air-treatment solutions from concept and design, through integration and after-sales-service.